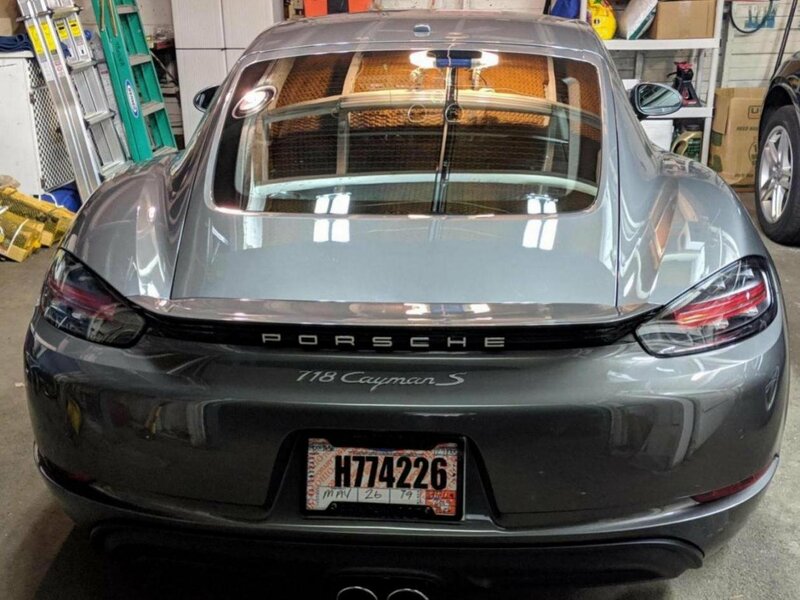 Porsche 718 Forum > Porsche 718+ Boxster And Cayman Ownership Lounge > Porsche 718 Owners Registry And Check In Area > Check-in from upstate NY!! Took delivery of my Cayman S last night via closed truck delivery from Ohio! She's beautiful! Question though. I take it no one project a from plate on their car right? If that's the case, anyone in a state that requires a front plate ever get hassled about it? Welcome! Nice car. Search for "front plate" and you'll find plenty of discussion regarding mounting/not mounting and options. There's a lot of information here so take some time and check out all that is offered. It will save you much Google time. Enjoy your new ride! Hello from Rochester also. I have a gray Boxster and love it . I bought a rho-plate bracket for mine that I can take off and on with out too much trouble . Enjoy - looks nice !! Last edited by Hilltop; Yesterday at 03:59 PM. Congratulations; big day! Regarding the front plate, I have been driving around Texas for 2 years without a front plate with 3 different Porsches and have never been stopped. If I were you I would wing the front plate until you find it is an issue for the LEO(s). Congrats! Enjoy in good health! Look for "The Dreaded Front License Plate" on Planet 9 also. Some good ideas there also. I did the trim tape and T-nut solution and it has done well. No holes in bumper. The 1st thong I did after taking her out of winter storage was check the plate. Hasn't shifted or loosened. YMMV. Welcome. It looks like a lovely car.